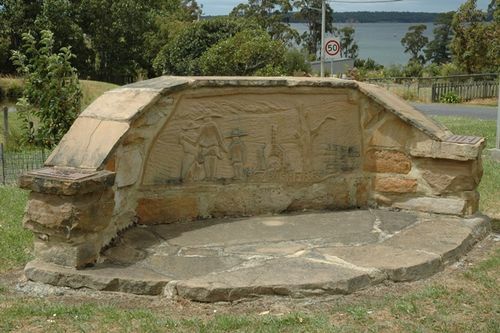 A sculptured wall commemorates the 40th anniversary of the February 1967 bushfires. The 1967 Tasmanian fires were an Australian natural disaster which occurred on 7 February 1967, an event which became known as the Black Tuesday bushfires. They were the most deadly bushfires that Tasmania has ever experienced, leaving 62 people dead, 900 injured and over seven thousand homeless. A day of terror, loss, suffering, grief. This commemorative wall was an initiative of the South Channel Ratepayers Association Inc.